Or, what goes around, comes around! Both with animals and with us humans we reap what we sow. Or as I am oft to put it: “Always play with a straight bat for bent bats are practically useless”. So what has prompted this introspective start to today’s post? Something that was published on the Care2 blogsite earlier in the month. 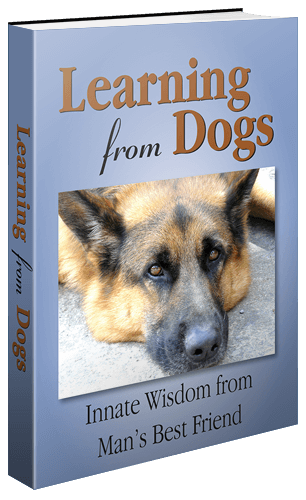 It was a story about how ex-rescue dogs went on to become dogs that rescued others. It certainly spoke to me and I feel sure that many of you will be inspired by the story. 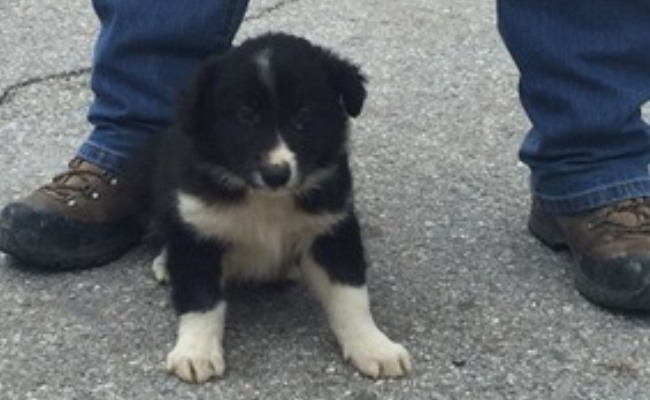 Among the survivors pulled from the rubble of Italy’s latest major earthquake (Oct. 29) was a border collie puppy who was trapped in the town of Norcia for two days. The puppy was reunited with his owners, who were so grateful for his rescuers’ work that they decided to let the local fire service adopt him. Now named Terremoto, which is Italian for – you guessed it – “earthquake,” the pup will be trained to pay it forward by becoming a search-and-rescue dog. Volunteers from the nonprofit ENPA have been helping nearly 1,000 animals rescued after the earthquakes this year in Italy’s central region. ENPA, an acronym for Ente Nazionale Protezione Animali (National Animal Protection Agency), has been around since 1871. It is Italy’s oldest and largest animal rights organization. After the 6.6-magnitude Oct. 29 earthquake, at least 900 animals have received assistance from the organization, according to the ENPA website. Almost 160 of them required veterinary care, including 59 dogs, 63 cats, 13 chickens, 10 tortoises, four parrots, five canaries, two geese, one hedgehog and a hamster. Amazingly, only one animal died: a dog rescued from the rubble alive but in serious condition in the town of Nottoria. So far, at least 78 animals have been reunited with their owners. Police in Perugia adopted two rescued puppies, The Local reports. A video captured rescuers using their hands to dig out another dog, Ulysses, after they saw his legs sticking out of the rubble. Like Terremoto, Ulysses had been buried alive when the 6.5 earthquake struck. And, like Terremoto, despite his terrible ordeal, Ulysses was checked out by a veterinarian and found to be in good condition. About 50 trained search-and-rescue dogs worked with more than 5,000 rescuers after a 6.2 earthquake struck the same region of Italy in August. Among the survivors the dogs sniffed out were two children who’d been stuck in the rubble at separate locations for about 15 hours. Like these dogs, Terremoto will be trained to bark if he detects a survivor less than 7 feet below the rubble. The rescuers will then dig out the survivor by hand. If Terremoto or other search-and-rescue dogs do not bark, it indicates there are no survivors below. In these cases, heavy machinery is brought in to clear the debris, with care being taken in case there are bodies buried in it. Search-and-rescue dogs usually stop barking about three days after a disaster like a major earthquake. The rescue efforts then become recovery efforts, since victims would not be able to survive that long without water. Here in the United States, the National Disaster Search Dog Foundation trains rescued dogs to become search-and-rescue dogs. The dogs are saved from shelters and rescue groups across the country. While I’d like to wish Terremoto a successful career as a search-and-rescue dog, I’m really hoping he never needs to put those skills to use. Founded in 1996, the National Disaster Search Dog Foundation (SDF) is a 501(c)(3) non-profit, non-governmental organization based in Santa Paula, California. Our mission is to strengthen disaster response in America by recruiting rescued dogs and partnering them with firefighters and other first responders to find people buried alive in the wreckage of disasters. Golly, there are some great persons out there! I hope Terremoto doesn’t have to use his newly acquired skills. That is so inspiring to read that dogs are being rescued and then adopted for such a purpose. Great find, Paul! Yes, that was our reaction, hence me republishing it. Thank you, Susan. Kate, my very great pleasure! Thanks so much Paul and yes I am telling so many bloggers that we all r putting our best foot forward then why simply tick a star button instead of reading and writing your comments it boosts up the morale of every person on WordPress. Always welcome. Hachikō, a lesson in faithfulness.